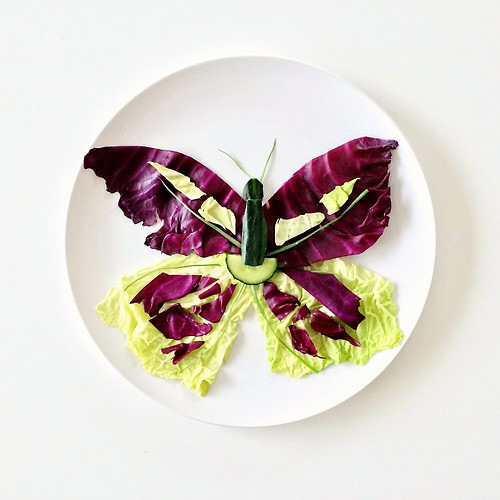 It has really been an effective way to add art on plates for a more enjoyable meal both for the tummy and eyes. 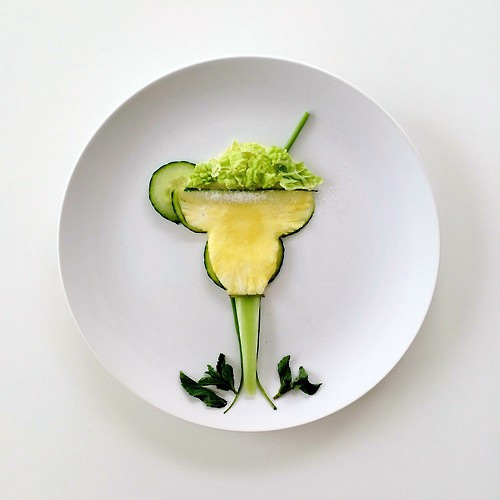 We have once featured here about Food Art. 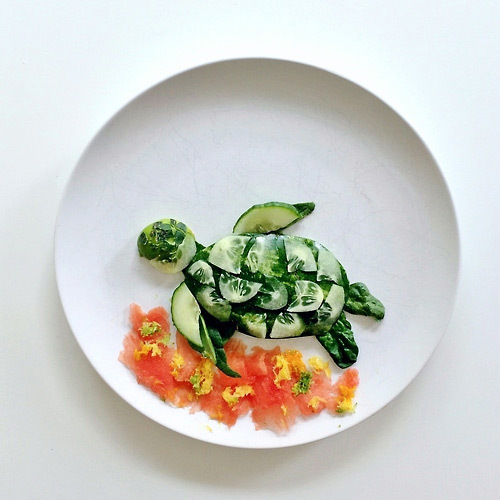 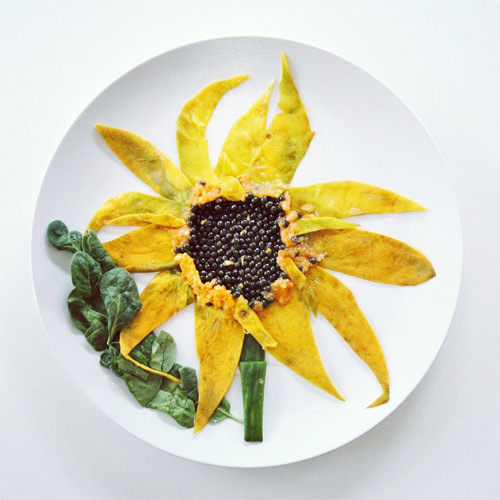 Evidently, the two artists make their most beautiful art out of foods. 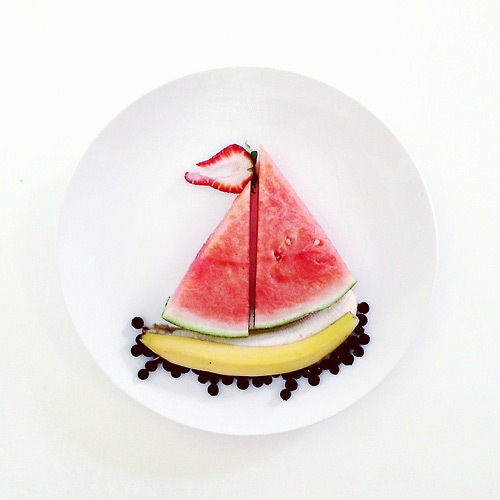 The only difference is the kind of food that they use to express their imaginative thoughts. 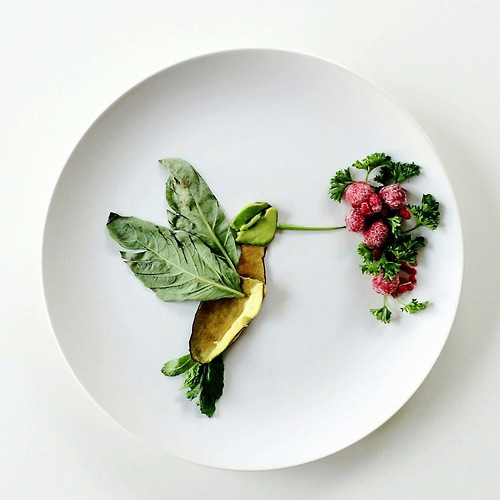 The artist featured before uses breads and sweet pastries on creating her food art. 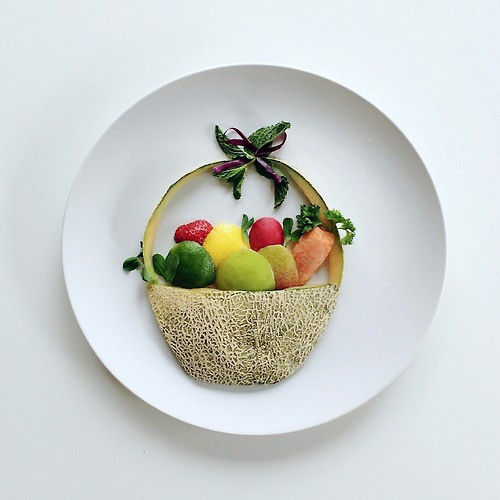 On the other hand, our featured artist for today uses fruits and vegetables. 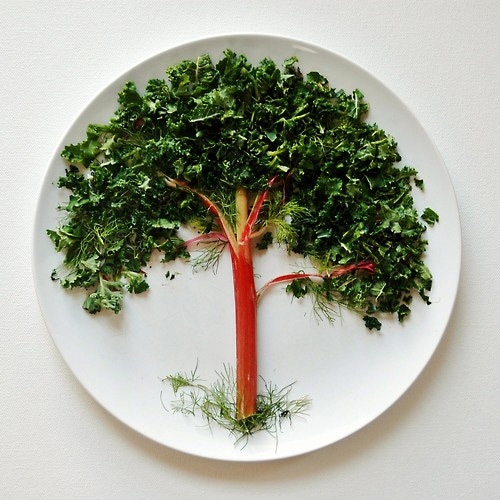 But the bottom line is they turned foods into a delightful way that makes our eyes crave for it even more. 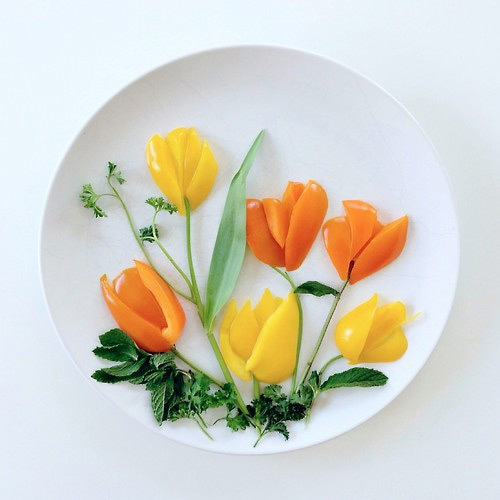 A marketing student from Vancouver, Lauren Purnell, who is a food enthusiast and is fond of playing with her foods, has made a project named Culinary Canvas. 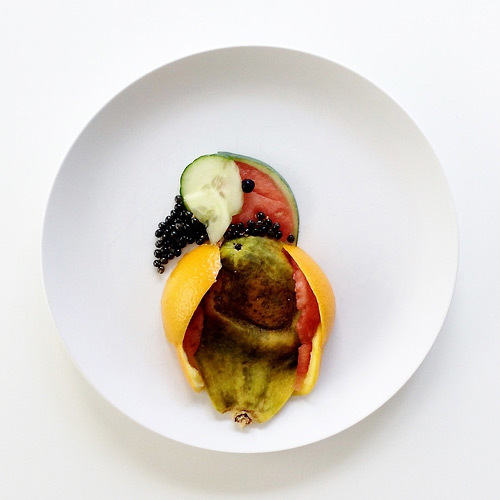 This project is about how she uses her artistic mind and her ability to create art out of fruits and vegetables. 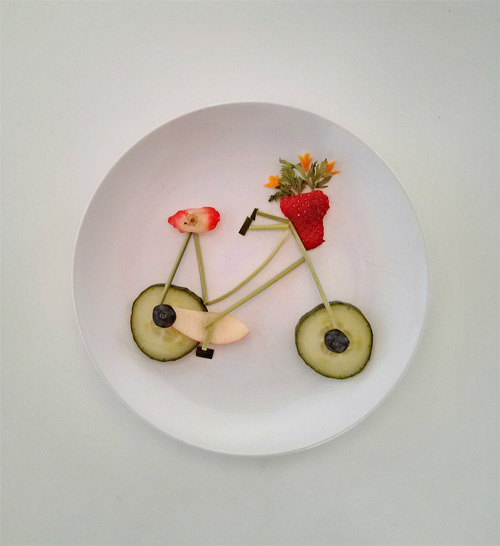 Surprisingly, she also uses peeled skin of papaya, banana and watermelon to form figures like flowers, parrots, bicycle and many more. 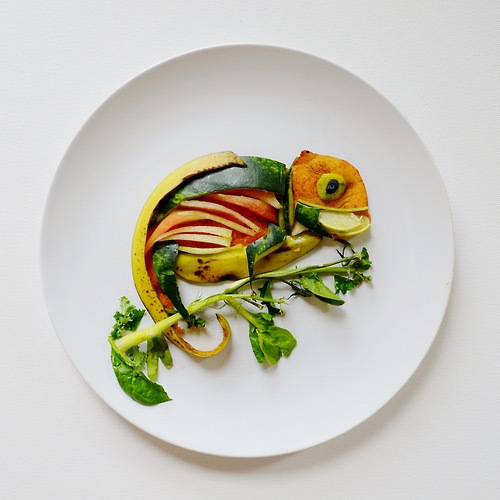 Check out some more of her works below and you’ll get to enjoy every details of it. 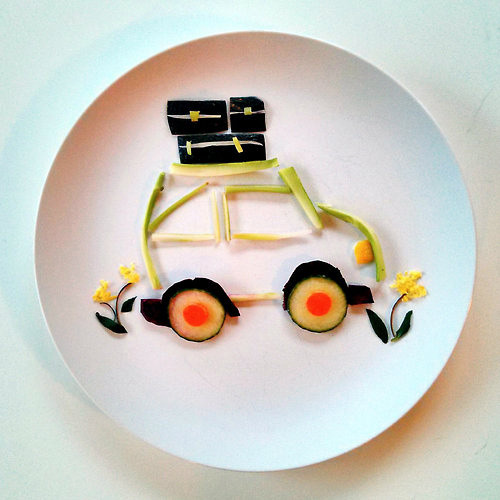 Are you hungry for more food art? 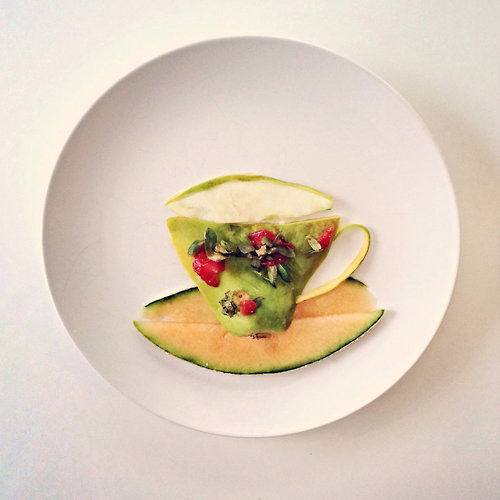 What do you think on the Culinary Canvas project? 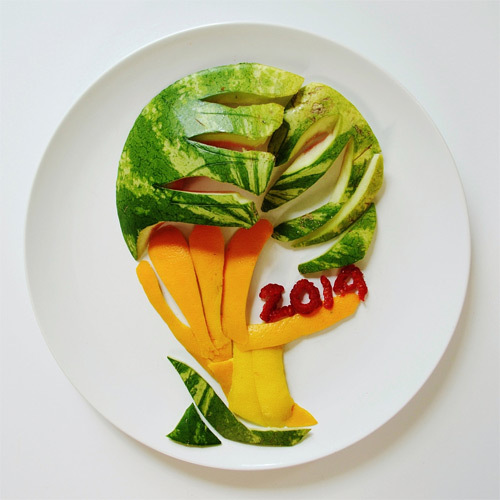 Your comments and opinion are highly-appreciated.